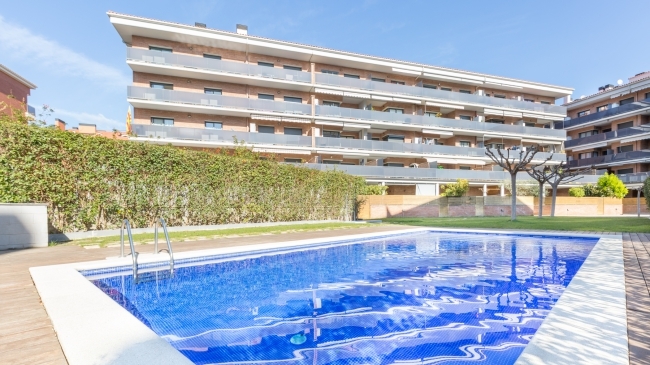 Nice and spacious apartment located just 50m from the beach and the center of Llafranc. Second floor without elevator. 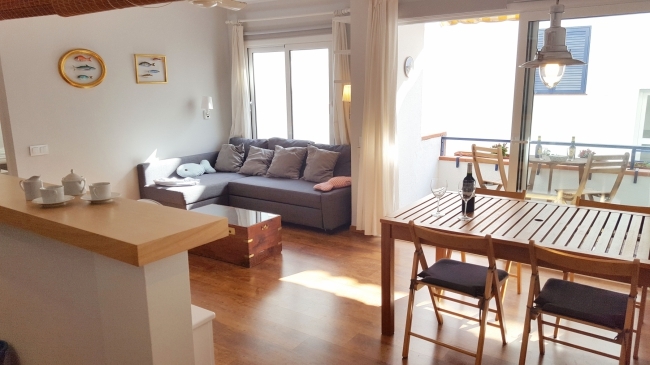 1 double room (double bed (145x190cm)) en suite with shower, 1 triple room (bunk beds + trundle bed (90x190cm)), 1 single room (90x190cm), equipped kitchen (ceramic hob, oven, microwave, dishwasher, washing machine, dryer), 2 bathrooms with shower, living-dining room (TV, air conditioning) and mezzanine (sofa-bed) that is accessed from the dining room through a climbing without handrail. All rooms with conditioned air. Pets not allowed. 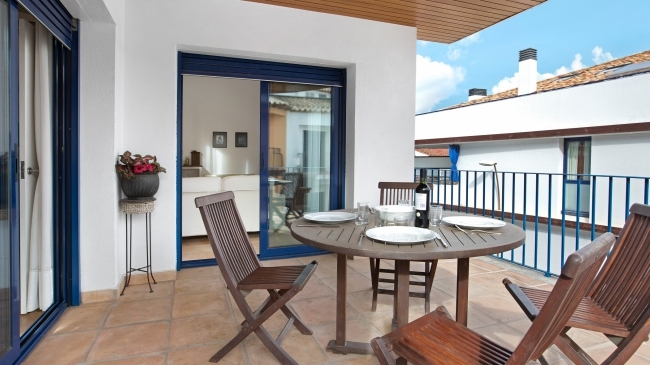 Apartment 55 m2 very central, located on the second line of the sea. It has 2 double bedrooms (1 double room, 1 bunk beds + 1 single bed), living-dining room (TV), open kitchen (dishwasher, microwave, oven), washing machine, 1 bathroom (with bath), terrace. Garage for medium car. It is rented only from 3/08 to 24/08. 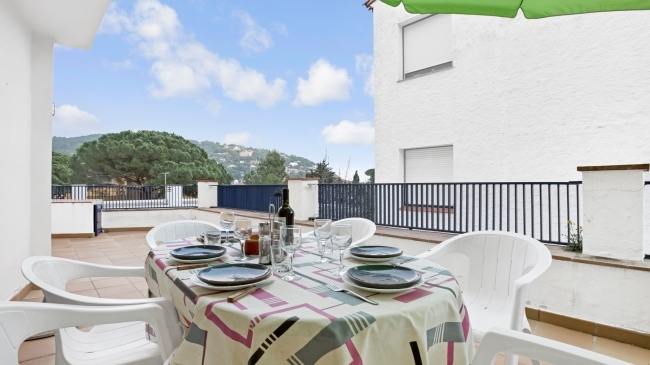 Beautiful refurbished duplex apartment located in Llafranc, 70m from the beach and the center of the city. First floor with elevator. 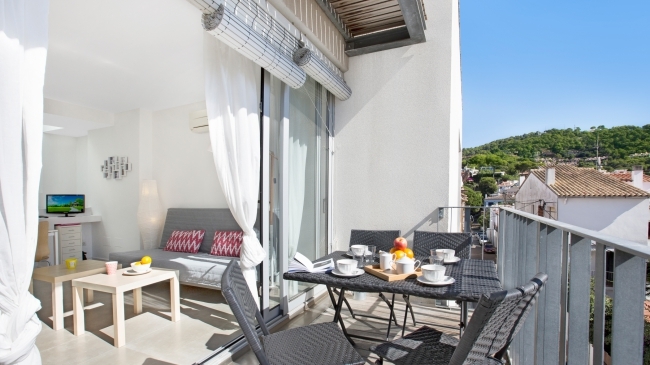 It has 2 double rooms (1 with double bed of 135x190cm and balcony and the other with 2 beds of 90x190cm), equipped kitchen (ceramic hob, oven, dishwasher, microwave, washing machine), 2 bathrooms with shower, living-room (TV, sofa bed, stereo) with access to a furnished terrace. The apartment has air conditioning and parking (costs not included).